I first learned about Non Plus Ultra cookies when I was a teenager. I was totally intrigued by the name and had to find out what it meant. I made sure to write down the recipe in my own recipe book that I started back then and I still keep it as a precious treasure. 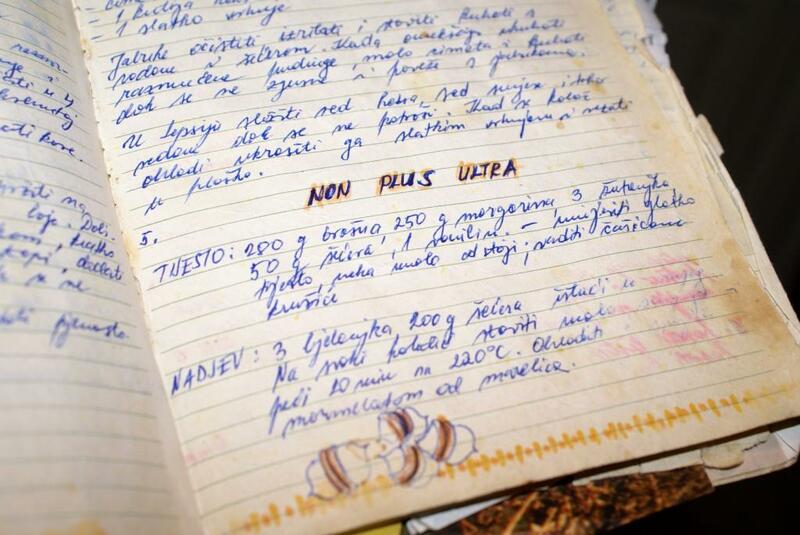 This little recipe book connects me with past times when life in Bosnia was peaceful and probably much better and safer than today. It connects me with my mom who encouraged me to start collecting recipes and taught me how to bake. Turning the pages of my old recipe book today, I stumbled across the Non Plus Ultra cookies recipe and just had to make them. With a good reason they have been named Non Plus Ultra, which in Latin means: Nothing further beyond; The ultimate; Perfection. Looking at the list of ingredients one would not think that something special could come out of it, but somehow all the ingredients come together in a perfect harmony and make this cookie a one-bite, crispy, melt-in-your-mouth perfection. 1. 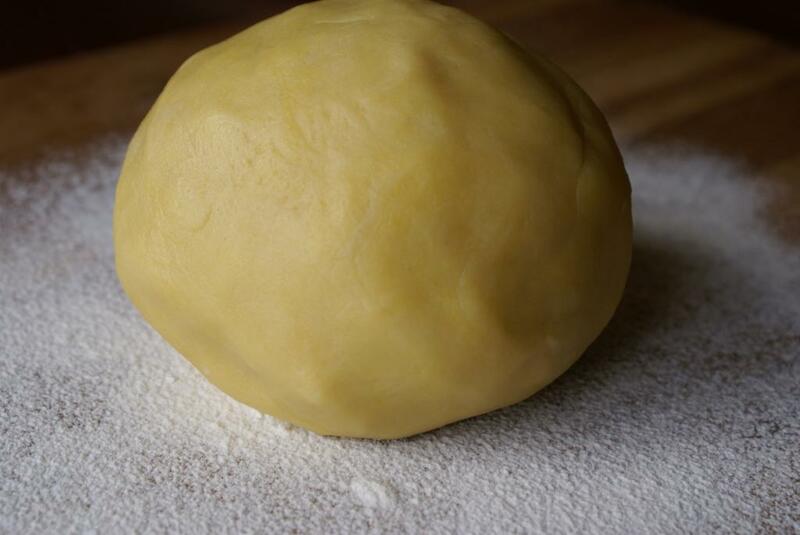 For the cookie dough combine flour, sugar and vanilla, add butter, egg yolks and mix until compact and smooth-looking. Cover with plastic foil and chill for about 30 minutes. 2. 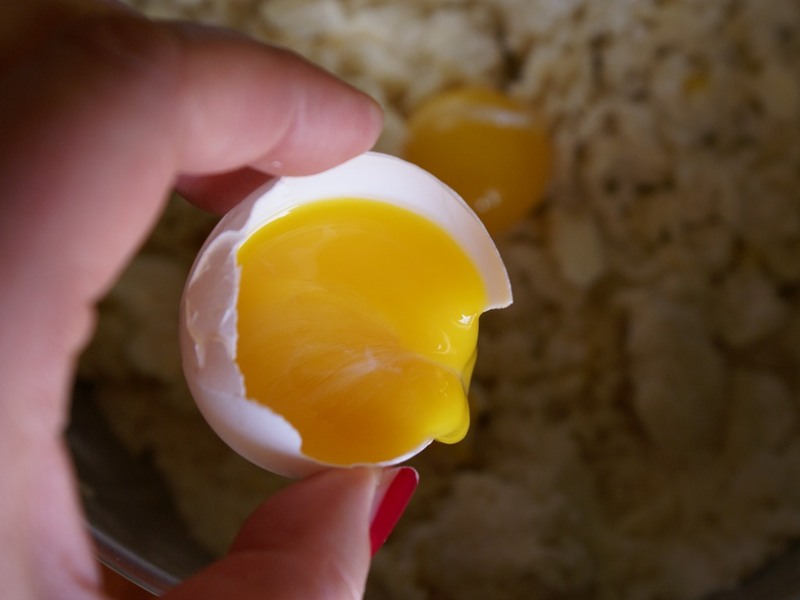 In a bowl mix egg whites and sugar just until combined. Place the bowl on a dish with boiling water and lightly heat it until all sugar dissolves. 3. Transfer the mixture into a bowl of a stand mixer and beat it on high for about 10 minutes or until firm peaks form. Set aside and cover. 4. 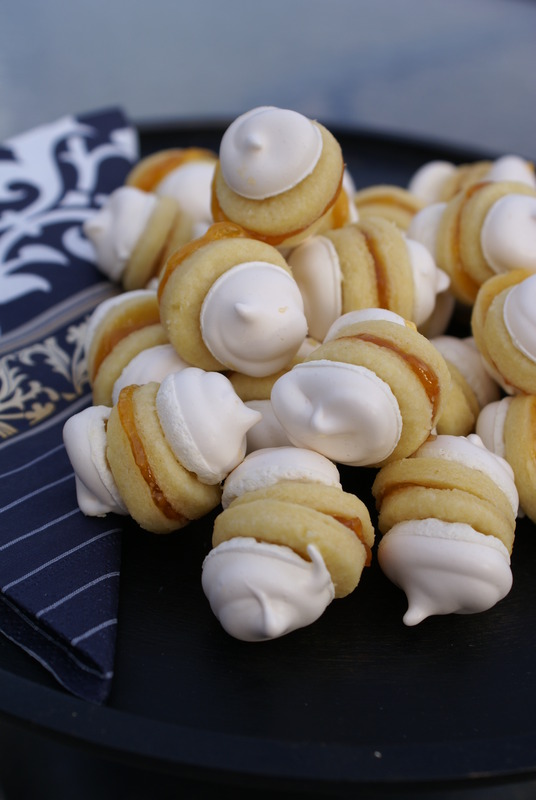 Take the cookie dough out of the fridge and roll it out 4-5 mm thick and cut out small, round cookies. Place them on a cookie sheet covered with parchment paper. 5. 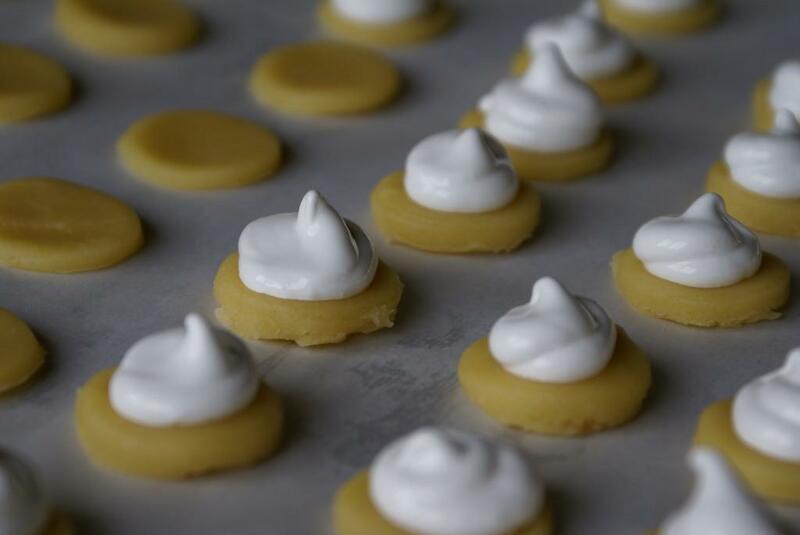 Fill the meringue mixture in a decorating bag and squeeze a bit of it on each cookie. 6. Preheat the oven to 150 C (300 F), place the cookie sheet in and turn it down to 120 C (250 F). After 12 minutes lower it to 85 C (185 F) and bake for 10-12 minutes more. Remove from the oven and cool completely. 7. Put two cookies together in a sandwich with a small amount of apricot jam and voila! 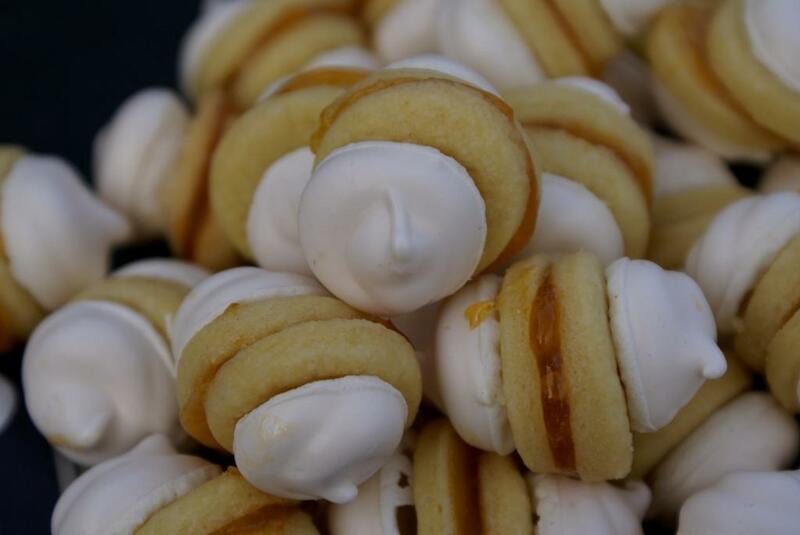 You have your Non Plus Ultra cookies – a true perfection! They look so adorable! I’m sure they are tasty too! Thank you Jasline! Oh, they are really tasty! 🙂 Thanks for stopping by! I love the description of your emotional connection to these cookies. They look delicious. Those look amazing! I might try them with my homemade black raspberry jam. How terrible could that be? Hi and thanks so much for visiting! Homemade black raspberry jam sounds fantastic and I think it wouldn’t be terrible at all! 🙂 Experimenting and using new flavors is a big part of baking/cooking adventure. Actually, I’ve been playing with the idea of doing a small catering or something like that. If Hong Kong wasn’t that far, trust me I would be more than happy to send something over to your hungry bunch! 😀 Hugssss!!!! These look fabulous! I must try perfection. Sibella, fantastic as usual. Such lovely recipes. 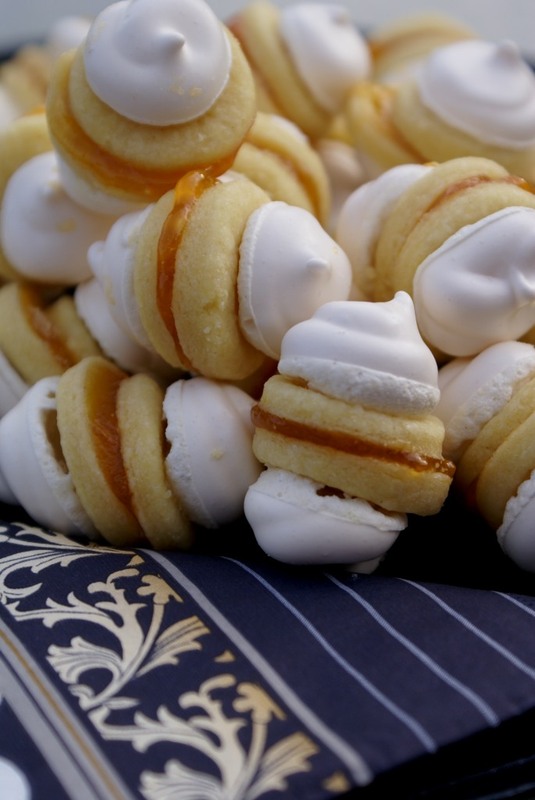 Everything sweet you make seems like it should be a special treat but never comes across as decadent. Homely and lovely. Thanks! Oh, my day just keeps getting better! 🙂 THANKS so much on your kind words! Wishing you a wonderful week! Pretty post Sibella! Thos cookies look Ultra Plus! Thank you Mr. SOURdough! 🙂 Have a great week! These cookies not only look delicious, but also adorable. Thank you for sharing the recipe. I must admit I am a little jealous of your recipe book. I don’t think we have a single hand written recipe in my family. Thanks Dimitris! 🙂 They were even better today! The cookies look divine, but I enjoyed your intro the most. 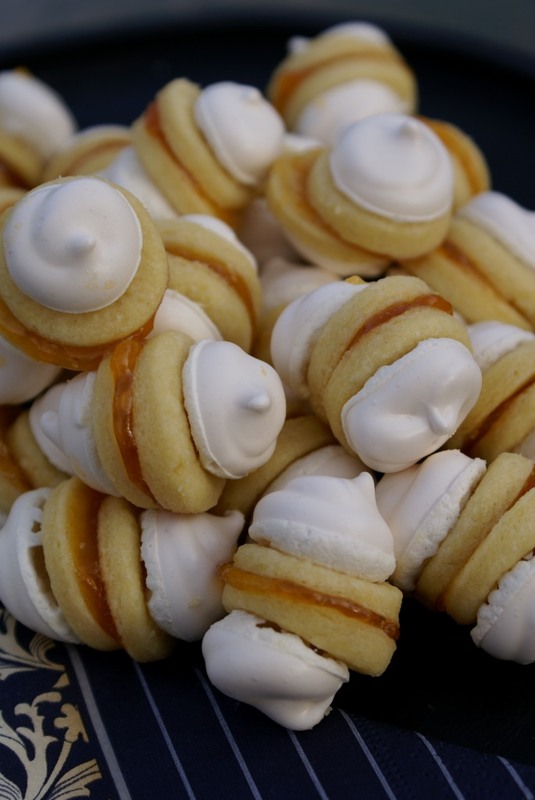 These are popular in Europe, especially for the parties and holidays since they are small and you can eat them in one bite. What an adorable cookie!! And I love your recipe book! What a special treasure to still have. Hello Kay, thanks for your kind comment! 🙂 Thanks for visiting! Thank you! Yes, texture is of the things that makes it so special! 🙂 Thanks for stopping by! Non plus ultra – what a perfect name. Can’t wait to try them – if I have the skills to pull it off. They are truly perfect and even better tasting the second day! I am sure you’ll pull it off! 🙂 Thanks for visiting!